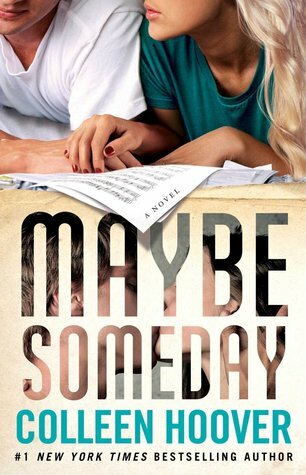 Synopsis: Sydney is living in an idyllic bubble—she’s a dedicated student with a steady job on the side. She lives with her best friend, has a great boyfriend, and the music coming from the balcony opposite hers is fast becoming the soundtrack to her life. But when Sydney finds out her boyfriend is cheating on her, the bubble bursts. The mysterious and attractive man behind the music, Ridge, gives Sydney hope that she can move on and they begin to write songs together. But moving on is harder than she expects, Sydney can only hope…. Review: I picked up this books after finishing It Ends With Us. I wanted to see what CoHo books I hadn’t read yet as I was feeling another one of her heart wrenching reads and came across this one. I decided not read what it was about and just purchase it on a whim. I knew I would be in for an original spin on a usual storyline. And I was right when that first twist came in the first quarter of the book. What a different read this was. To be honest the music component wasn’t for me but I feel before I fully judge that aspect I need to listen to the songs done by Griffen Peterson. Some of the situations felt very realistic and it felt like I was watching them happen. I read a review where someone described it as being a fly on the wall, and I think that is spot on. Sydney’s character didn’t do it for me. I feel like the majority of the book she was upset and overly emotional. To be honest, she got annoying. This was not a love triangle I was down for. Great review!! I loved this one. Coho's female characters never do it for me, but I'm obsessed with her books anyway lol! Thanks! You're right I do find the female characters hit or miss but I can't stop reading her books!! The plots are so different and original each time. You don't know what you're going to get!